Welcome to Day 963 of our Wisdom-Trek, and thank you for joining me. Thank you for joining us for our five days per week wisdom and legacy building podcast. We are broadcasting from our studio at The Big House in Marietta, Ohio. This is Day 963 of our trek, and it is time for our Philosophy Friday series. Each Friday we will ponder some of the basic truths and mysteries of life and how they can impact us in creating our living legacy. If you have missed any of our past nine Friday series, I would recommend going back and listening to them or read the Wisdom Journals. 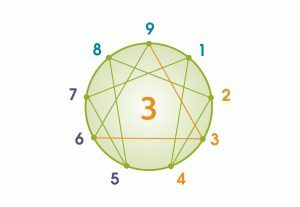 As a review, the tool that we refer to as the Enneagram (Any-a-Gram) is a circle with nine interconnected points (Ennea refers to 9, and Gram refers to a drawing). Check out today’s or a prior week’s Wisdom Journal for a representation of it. 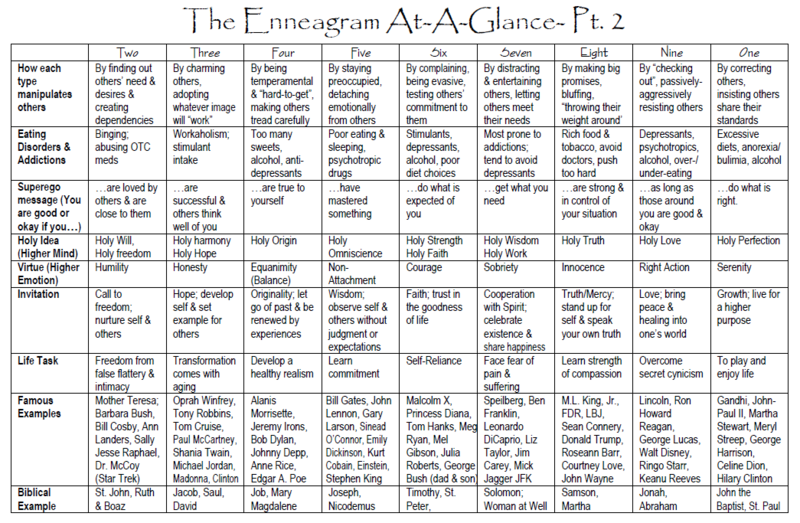 I have also included a copy of “The Enneagram At-A-Glance,” which was compiled by Suzanne H. Eller in today’s Wisdom Journal. If you would like a PDF copy, click on the link in today’s Wisdom Journal on our website Wisdom-Trek.com. I would also recommend the book The Road Back to You written by Ian Morgan Cron and Suzanne Stabile. It is an excellent book about an enneagram journey to self-discovery from a Christian perspective. 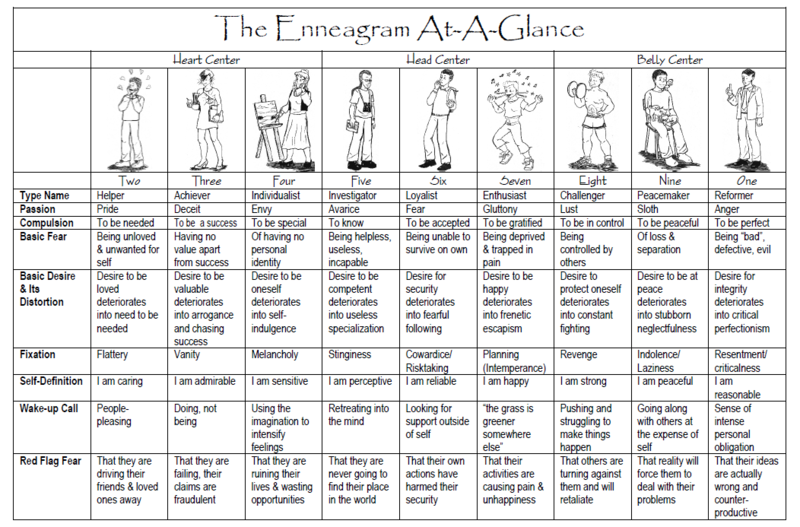 Since we are exploring the Enneagram in detail, and I would also recommend reading the Wisdom Journal for each Friday to see the diagrams presented each week. As helpful as the Enneagram is, keep in mind, it is still only a tool, and cannot replace or usurp the precepts that are found in God’s Word. All decisions and actions that we make in life must be in harmony with God’s precepts. Threes are self-assured, attractive, and charming. Ambitious, competent, and energetic, they can also be status-conscious and highly driven for advancement. They are diplomatic and poised, but can also be overly concerned with their image and what others think of them. They typically have problems with workaholism and competitiveness. At their Best: self-accepting, authentic, everything they seem to be—role models who inspire others. The Meaning of the Arrows (in brief)When moving in their Direction of Disintegration (stress), driven Threes suddenly become disengaged and apathetic similar to an unhealthy Nine. However, when moving in their Direction of Integration (growth), usual vain, deceitful Threes become more cooperative and committed to others, like healthy Sixes. We have named personality type Three The Achiever because when they are healthy, Threes really can and do achieve great things in the world. They are the “stars” of human nature, and people often look up to them because of their graciousness and personal accomplishments. Healthy Threes know how good it feels to develop themselves and contribute their abilities to the world and also enjoy motivating others to greater personal achievements than others thought they were capable of. They are usually well regarded and popular among their peers, the type of person who is frequently voted “class president” or “homecoming queen” because people feel they want to be associated with this kind of person who acts as a stand-in for them. Healthy Threes embody the best in a culture, and others are able to see their hopes and dreams mirrored in them. Threes are often successful and well-liked because, of all the types, they most believe in themselves and in developing their talents and capacities. Threes act as living “role models” and paragons because of their extraordinary embodiment of socially valued qualities. Healthy Threes know that they are worth the effort it takes to be “the best that they can be.” Their success at doing so inspires others to invest in their own self-development. To this end, Threes learn to perform in ways that will garner them praise and positive attention. As children, they learned to recognize the activities that were valued by their parents or peers, and put their energies into excelling in those activities. Threes also learned how to cultivate and develop whatever about them is attractive or potentially impressive. Everyone needs attention, encouragement, and the affirmation of their value in order to thrive, and Threes are the type which most exemplifies this universal human need. Threes want success not so much for the things that success will buy (like Sevens), or for the power and feeling of independence that it will bring (like Eights). They want success because they are afraid of disappearing into a chasm of emptiness and worthlessness; without the increased attention and feeling of accomplishment which success usually brings, Unhealthy Threes fear that they are nobody and have no value. The problem is that, in the headlong rush to achieve whatever they believe will make them more valuable, Threes can become so alienated from themselves that they no longer know what they truly want, or what their real feelings or interests are. In this state, they are easy prey to self–deception, deceit, and falseness of all kinds. Thus, the deeper problem is that their search for a way to be of value increasingly takes them further away from their own Essential Self with its core of real value. From their earliest years, as Threes become dependent on receiving attention from others and in pursuing the values that others reward, they gradually lose touch with themselves. Step by step, their own inner core, their “heart’s desire,” is left behind until they no longer recognize it. Thus, while they are the primary type in the Feeling Center, Threes, interestingly, are not known as “feeling” people; rather, they are people of action and achievement. It is as if they “put their feelings in a box” so that they can get ahead with what they want to achieve. Threes have come to believe that emotions get in the way of their performance, so they substitute thinking and practical action for feelings. Here is another example from Jarvis who is a well-educated and accomplished business professional; he sees that this pattern developed in him at an early age. Threes report that when they realize to what extent they have adapted their lives to the expectations of others, the question arises, “Well, then, what do I want?” They often simply did not know; it was not a question that had ever come up before. Thus, the fundamental dilemma of Threes is that they have not been allowed to be who they really are and to manifest their own authentic qualities. At a young age, they got the message that they were not allowed to have feelings and be themselves: they must, in effect, be someone else to be accepted. To some degree, all of the personality types have been sent the same message, but because of their particular background and makeup, Threes not only heard it, they began to live by it. The attention they received by performing in a certain way was their oxygen, and they needed it to breathe. Unfortunately, it came at a high price. Marie, a skilled therapist, describes the contradiction—and the pressure—of this orientation. Level 1 (At Their Best): Self-accepting, inner-directed, and authentic, everything they seem to be. Modest and charitable, self-deprecatory humor and a fullness of heart emerge. Gentle and benevolent. 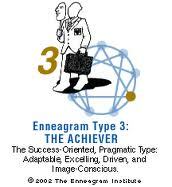 Level 2: Self-assured, energetic, and competent with high self-esteem: they believe in themselves and their own value. Adaptable, desirable, charming, and gracious. Level 3: Ambitious to improve themselves, to be “the best they can be”—often become outstanding, a human ideal, embodying widely admired cultural qualities. Highly effective: others are motivated to be like them in some positive way. Level 5: Become image-conscious, highly concerned with how they are perceived. Begin to package themselves according to the expectations of others and what they need to do to be successful. Pragmatic and efficient, but also premeditated, losing touch with their own feelings beneath a smooth facade. 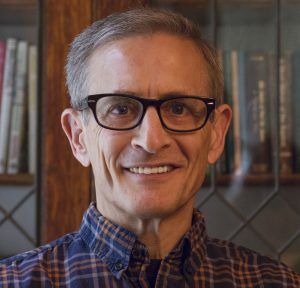 Problems with intimacy, credibility, and “phoniness” emerge. Level 6: Want to impress others with their superiority: constantly promoting themselves, making themselves sound better than they really are. Narcissistic, with grandiose, inflated notions about themselves and their talents. Exhibitionistic and seductive, as if saying “Look at me!” Arrogance and contempt for others is a defense against feeling jealous of others and their success. 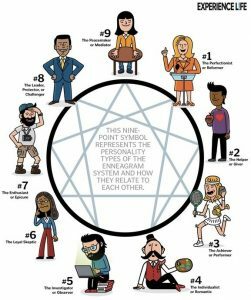 Level 7: Fearing failure and humiliation, they can be exploitative and opportunistic, covetous of the success of others, and willing to do “whatever it takes” to preserve the illusion of their superiority. Level 8: Devious and deceptive so that their mistakes and wrongdoings will not be exposed. Untrustworthy, maliciously betraying or sabotaging people to triumph over them. Delusionally jealous of others. 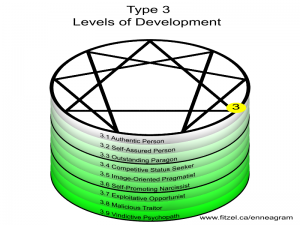 Level 9: Become vindictive, attempting to ruin others’ happiness. Relentless, obsessive about destroying whatever reminds them of their own shortcomings and failures. Psychopathic behavior. Generally corresponds to the Narcissistic Personality Disorder. For our real development, it is essential to be truthful. Be honest with yourself and others about your genuine feelings and needs. Likewise, resist the temptation to impress others or inflate your importance. You will impress people more deeply by being authentic than by bragging about your successes or exaggerating your accomplishments. Develop charity and cooperation in your relationships. You can do this by taking time to pause in a busy day to really connect with someone you care about. Nothing spectacular is required—simply a few moments of quiet appreciation. When you do so, you will become a more loving person, a more faithful friend—and a much more desirable individual. You will feel better about yourself. Take breaks. You can drive yourself and others to exhaustion with your relentless pursuit of your goals. Ambition and self-development are good qualities, but temper them with rest periods in which you reconnect more deeply with yourself. Sometimes taking three to five deep breaths is enough to recharge your battery and improve your outlook. 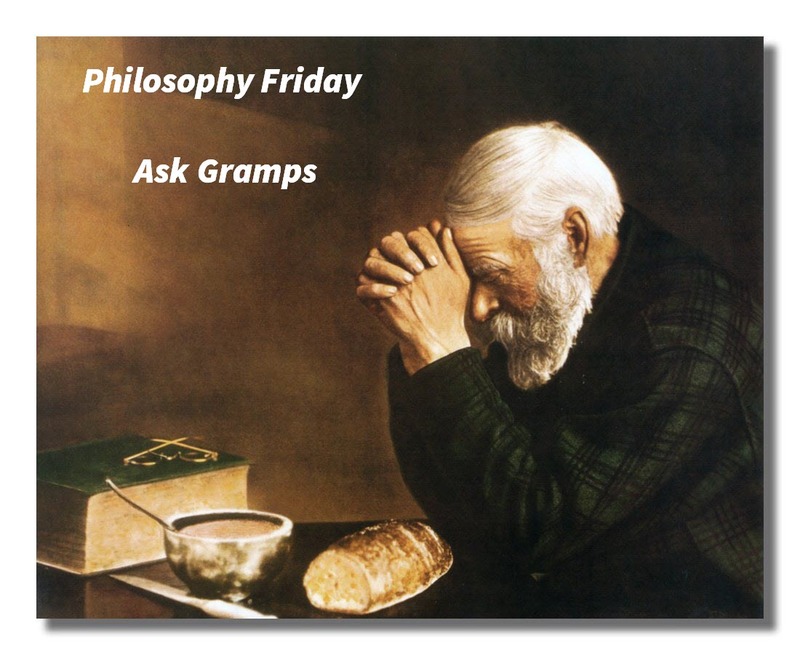 Join us again next Friday as we further explore the Enneagram on our “Ask Gramps” episode. 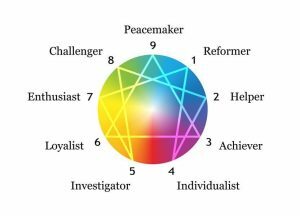 We will specifically explore the Enneagram Number Four – The Individualist in depth. The information that we explore will allow you to unlock who you are as we travel on our trek of life and discover more about yourself and others as you impact God’s kingdom. I know you will find these insights interesting, practical, and profitable in living a rich and satisfying life. Our next trek is Mediation Monday where we will help you reflect on what is most important in life. So encourage your friends and family to join us and then come along on Monday for another day of our Wisdom-Trek, Creating a Legacy. 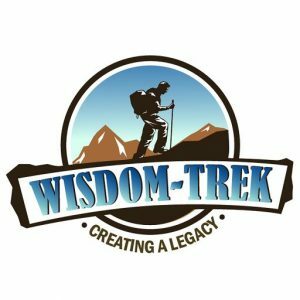 If you would like to listen to any of the past 962 daily treks or read the associated journals, they are all available at Wisdom-Trek.com. I encourage you to subscribe to Apple Podcast or Google Play so that each day’s trek will be downloaded automatically.